It isn't really a circle. 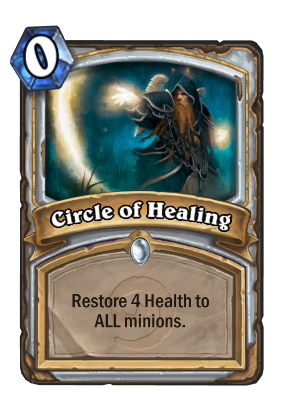 I've really only found this card to be useful if A) I'm the only person with injured minions on the board (which isn't common) or B) I chain this with Auchenai Soulpriest or Embrace the Shadow. Am I just using it wrong? Exactly what I'm thinking other than that I feel there is limited use.